Courtney joined HCC in 2012. She’s a Partner in HCC’s Litigation Practice Group. Courtney is a graduate of Wesleyan University in Middletown, Connecticut and Boston University School of Law. Courtney is admitted to practice law in Rhode Island, Massachusetts, and the U. S. District Court for the District of Rhode Island. Prior to joining HCC, Courtney worked for several years at another prominent law firm in Rhode Island where she focused her practice on domestic relations and juvenile law, successfully representing hundreds of clients in matters relating to divorce, child custody and visitation, child support, DCYF, prenuptial agreements, and restraining orders. She has represented minors in Juvenile Court for offenses ranging from wayward to truancy to first-degree robbery. She also has represented juveniles in the specialized Drug Court. She has tried numerous cases to their conclusion. 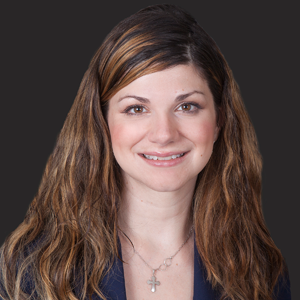 Since joining HCC, Courtney has expanded her practice to include personal injury, product liability, premises liability, landlord/tenant matters and workers’ compensation defense. She has significant experience developing strategy and preparing discovery in the personal injury class action arena. Courtney’s Workers’ Compensation practice involves defending clients in all aspects of workers’ compensation litigation. Courtney has served as a volunteer advocate at DayOne, a Providence-based organization providing advocacy services to victims of violence and abuse. She is a member of the Rhode Island Bar Association, the American Bar Association, the Defense Council of Rhode Island and the Edward P. Gallogly Family Law Inn of Court.